The property is superbly located in St Kilda Road district, 15 minutes' walk from Chapel street and Melbourne city is only 1 km away. The apartment is also comfortably nestled in the close proximity to parks and gardens. The Fully furnished One Bedroom apartment reflects a quality investment option and ready for owners occupiers or renters to reside in. 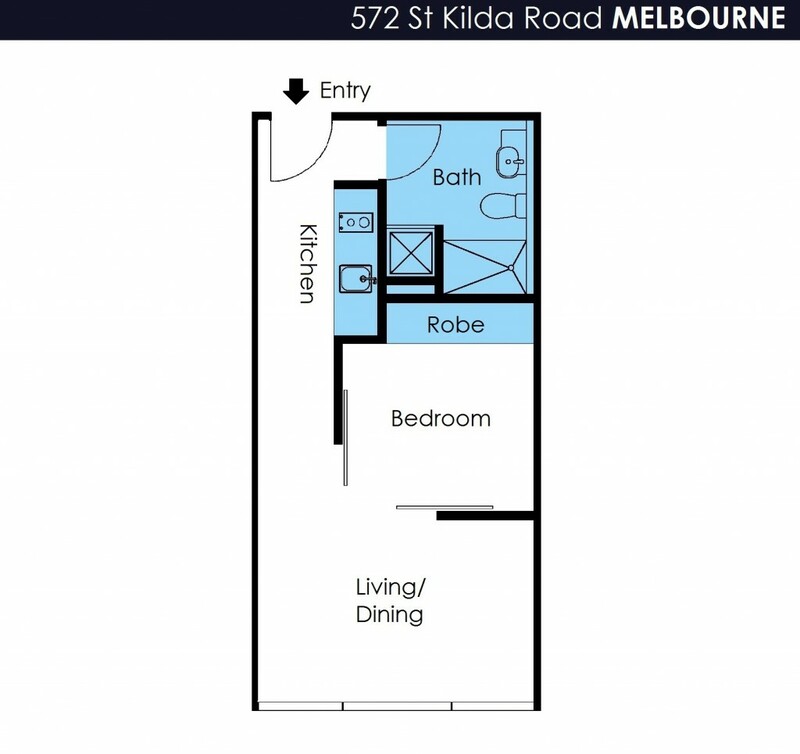 The modern interior and practical floor plan layout makes it suitable for owner occupiers who are looking for a simple, yet affordable apartment with close proximity to the CBD or nearby suburbs. Tram stop is conveniently accessible at the doorstep and CBD is just a short ride down the road, also reachable to other vibrant suburbs, including South Melbourne, South Yarra, Prahran and beachside St Kilda. - Laundry facility is conveniently located in the bathroom. - Spacious bedroom can easily accommodate double bed with extra space for bedside furniture. - Active residents can take the advantage of the immaculate gym facility available on site. An ideal property for an owner occupier or savvy investors looking at a high rental return with potential of receiving $480 per week.